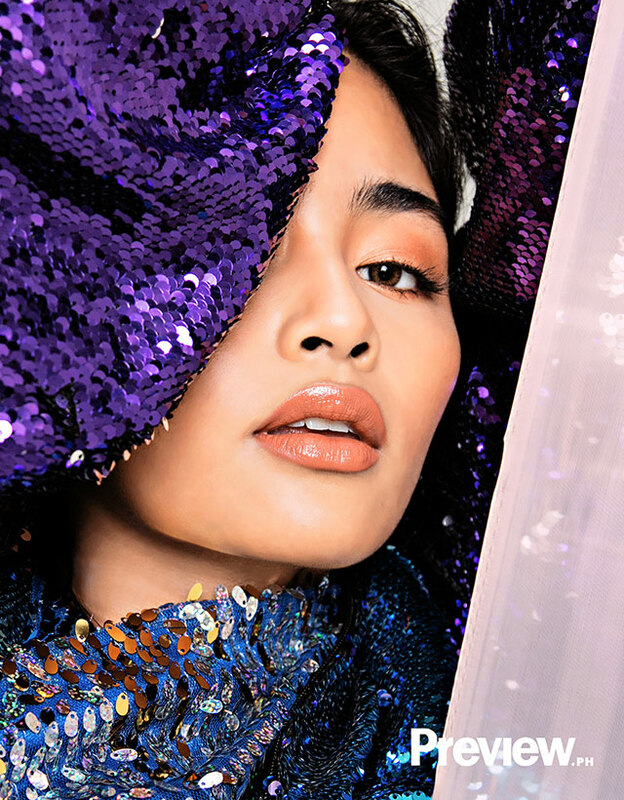 Since joining the country’s premier reality competition at age 16, emerging actress, singer, and dancer Vivoree Esclito has battled and overcome depression and self-doubt—learning, in the process, what it really takes to survive. True to her word, she’s been able to help her family get by and live comfortably, and the exposure has given her a platform to show off her talents. She ended up staying roughly 100 days inside the house. And while joining the country’s favorite reality competition was already surreal in itself, Vivoree reveals that going back out there, to the so-called “outside world,” was even more overwhelming. “Pagkalabas ko kaagad ng Bahay ni Kuya, may mga tao na nakaka-kilala na sa akin,” she muses. She wasn’t called a “go-getter” for nothing, either: True to her word, she’s been able to help her family get by and live comfortably, and the exposure has given her a platform to show off her talents. Vivoree is among the few who figure out what they’re good at and what they want to do for the rest of their lives at a young age. She’s lucky and, more importantly, passionate and hardworking enough to be able to develop her skills and keep getting better at what she loves. “Kapag hindi ka nag-i-improve, hanggang dun ka na lang,” she says. Singing, she reveals, is her first love, and the rest—songwriting, dancing, acting, even doing makeup and having an eloquent way with words when speaking to the public about issues and experiences that have been important to her—soon followed. For her, performing is an avenue of self-expression—and people are now paying attention, because as it turns out, this 17-year-old has got a lot to say. 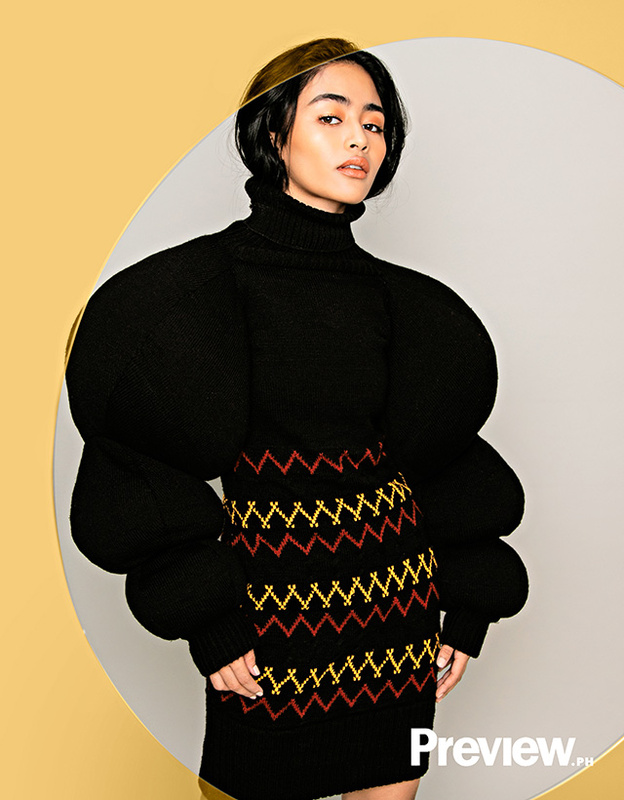 Speaking with Boy Abunda just before she was to enter the PBB House, Vivoree was already goal-oriented, telling the late-night host that the opportunity that she’d been given was something she had always aspired to, and one could tell even then that she had planned to make the most of it. Inside, whether it was for a challenge or task, or just another mundane moment spent goofing off with her newfound friends, her talents shone through. She even wrote a song, Kaya Pa, joining the likes of Sam Milby and Ylona Garcia in creating the original musical history of PBB. It eventually became her debut single. And through it all, Vivoree, it must be said, was simply being herself. Her voice is strong, but clear and sweet. Her dancing is a balance of attitude and grace. And when she’s acting, she’s endearing, genuine, and exciting to watch. For her, performing is an avenue of self-expression—and people are now paying attention, because as it turns out, this 17-year-old has got a lot to say. Sure, most "ordinary girls" don’t cater to over 729K Instagram followers, pose for their own Folded & Hung campaign, or hold their own slot alongside Piolo Pascual and Alessandra de Rossi on ABS-CBN’s primetime block. But Vivoree is following her dreams—it’s just that, for once, she finally gets to live them. Looking back, though, it didn’t come easy. For a year, she hadn’t booked any projects and was beginning to doubt her place in show business... She began to question herself: Was she not good enough? For a year, she hadn’t booked any projects and was beginning to doubt her place in show business. After all, Maymay Entrata and Kisses Delavin—her housemates from PBB—were everywhere, it seemed. They had transitioned almost seamlessly from being largely unknown to overnight sensations and rising names. And with the image Vivoree had built up and the talent she had demonstrated, it was only natural for her to have been on the same path. But she wasn’t. She began to question herself: Was she not good enough? Was she not cut out for performing after all? Did she not have what it takes? It was beginning to take a toll on her to a point that it affected her mental health. Her parents, trying to be practical, advised that the lack of projects and exposure might be a sign that she would be better off packing her bags and going back home to Bohol to continue her studies. “I got depressed,” Vivoree says. She spent nights crying, feeling like she had risked it all and gone through so much, only to have it be for nothing. She was beginning to think—to fear—that she had missed her chance. Like many other young women who’ve struggled with depression and mental illness, Vivoree eventually realized that it wasn’t healthy to isolate herself and deal with her problems on her own. Opening up was difficult, but it played an important role in helping her get back on her feet. “I [rose above it] through the support of the people around me,” she recalls. 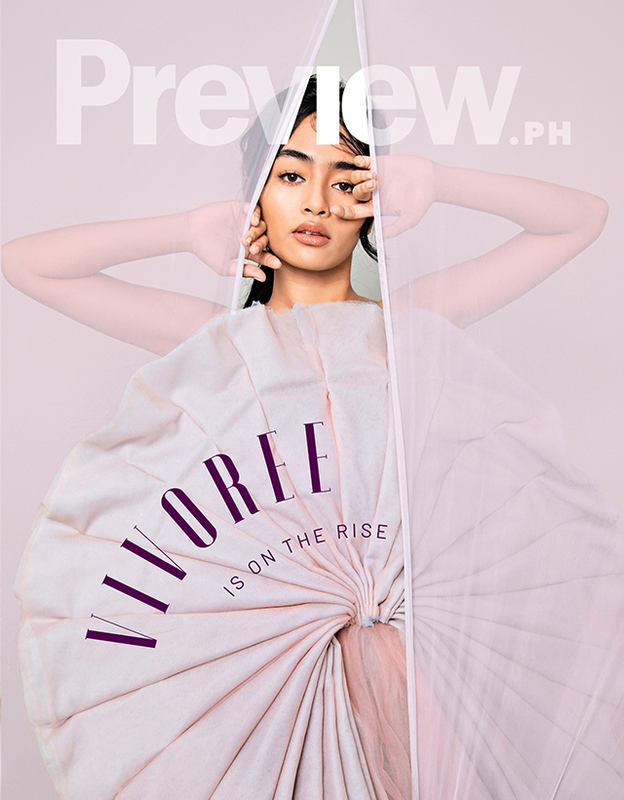 “[My name] came from the word ‘survivor,’” Vivoree explains. Everyone’s name is an ineradicable part of their identity, of their story—and Vivoree’s is no exception, if not more so. “[My name] came from the word ‘survivor,’” she explains. She was born in the August of a brand-new millennium, seven months premature. “The doctor told my mom na maliit lang daw ‘yung chance na mabubuhay ako,” she shares. Her mother decided to push through with the birth, and, defying expectations, everyone in the room welcomed a healthy baby: “Surprise!” she laughs. In 2018, after a year filled with uncertainty and rejection, Vivoree turned 18 and celebrated the milestone with a number of firsts: She was cast in a supporting role in the teleserye Since I Found You; she filmed her first movie, the ensemble teen comedy Petmalu; and she landed her first lead role on the classic children’s show Wansapanataym, opposite her first major love team partner, Charles Kieron, also known as Hashtag CK. She’s also a senior high school student in grade 11, where she’s chosen to take the Humanities and Social Sciences strand. She is, however, considering studying business when she goes to college. If there’s one thing Vivoree can attest to, it’s that giving up should never be an option. Dreams and success take time, and moving up sometimes means having to traverse downward slopes and take a few detours. But she always stayed the course. And now, her resilience, tenacity, and the risks she has taken have finally paid off. Vivoree is a Leo, the sign known for warmth, optimism, ambition, and magnetism. It’s evident at her cover shoot, whether she’s freestyling to the songs on the radio or unafraid to laugh at herself after making silly faces at the camera. Her energy is boundless, bouncing off everyone else in the room even when it’s been several hours and the sun has already begun to set. In the studio, she transforms from a shy teenager into a fashion muse, an ingenue—fearless and unapologetically real. It was through experiences both life-altering and difficult that Vivoree was able to become stronger and more sure of herself. “I used to be that kind of girl na sobrang walang tiwala sa sarili,” she recalls. Since childhood, she’d been made fun of and put down for her appearance, particularly her facial and body hair, and for not fitting into certain definitions of “beauty.” Most days, she would shrug off the callousness of her peers, but in the long run, it got to her and resulted in a lack of confidence. She’s defying and redefining perceptions of what beauty is supposed to be. And more than anything, she knows what she wants—and she will do whatever it takes to get it. By all accounts, Vivoree has earned the right to be called a full-fledged artista, but it’s her qualities as a dreamer that set her apart and make her one to watch. She’s got style and flair, but she also has individuality, creativity, and personality. She knows herself beyond branding or anything else other people might built her up to be. She’s defying and redefining perceptions of what beauty is supposed to be. And more than anything, she knows what she wants—and she will do whatever it takes to get it.